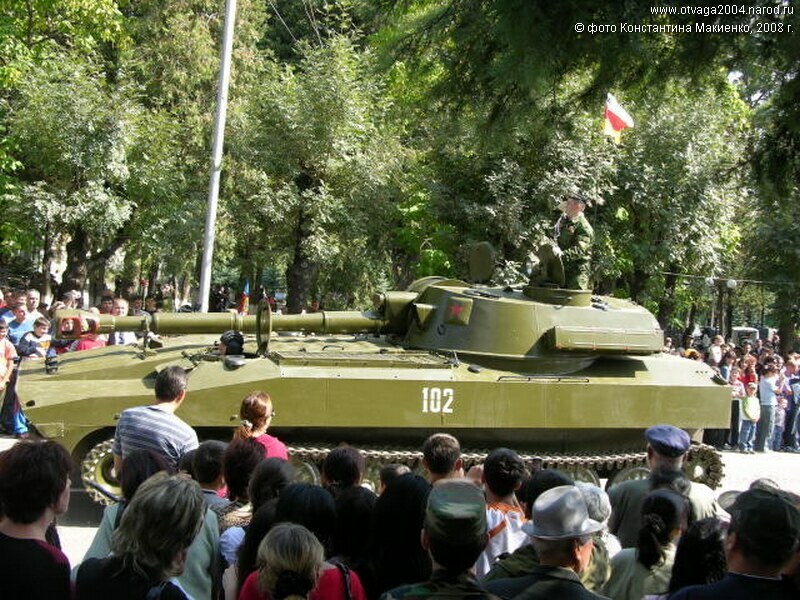 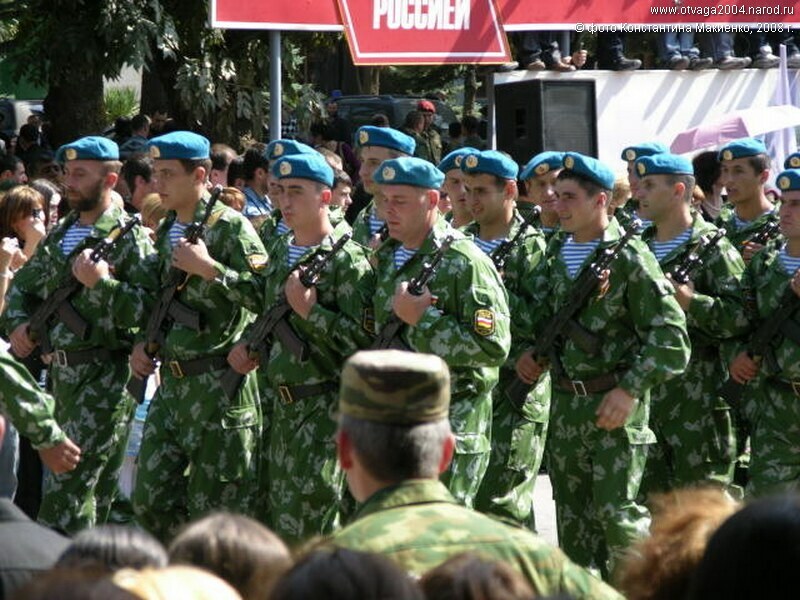 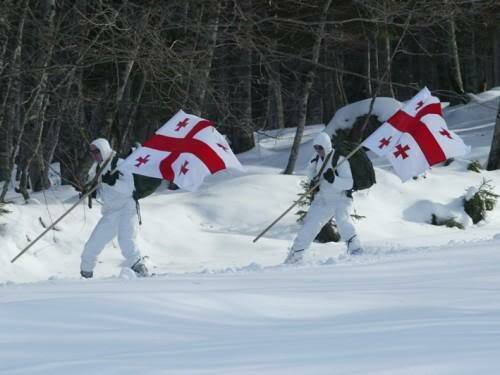 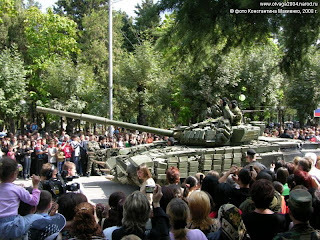 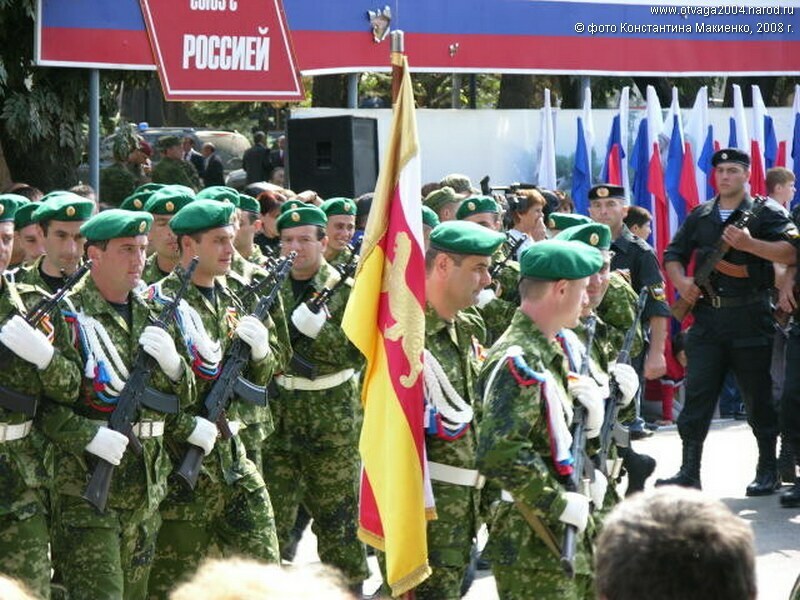 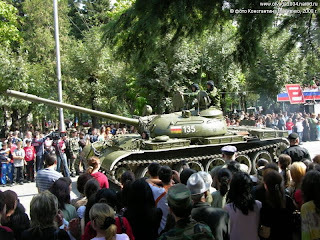 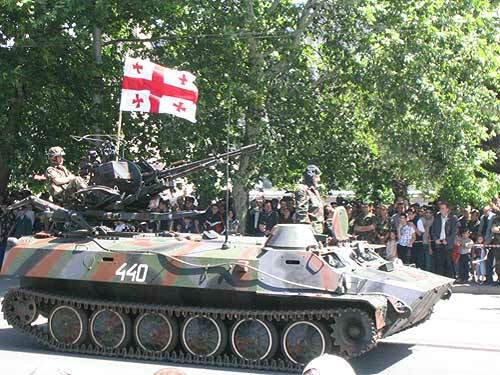 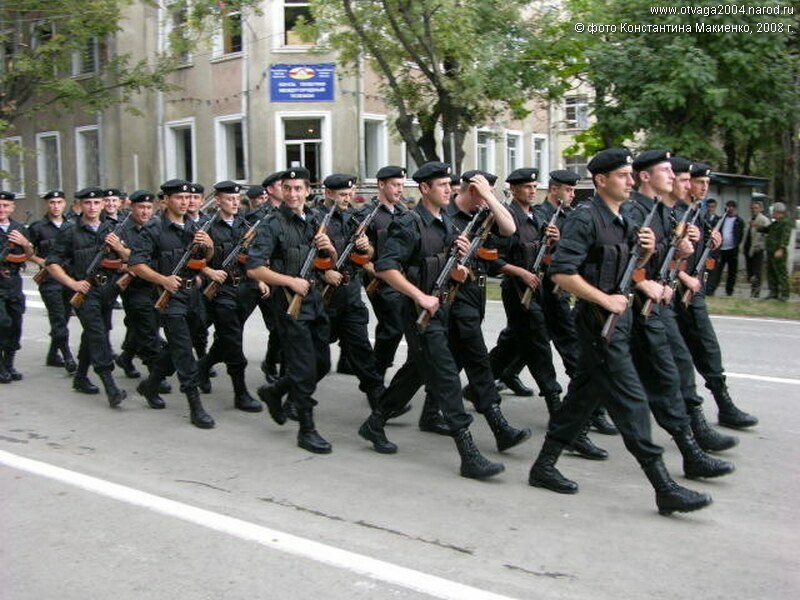 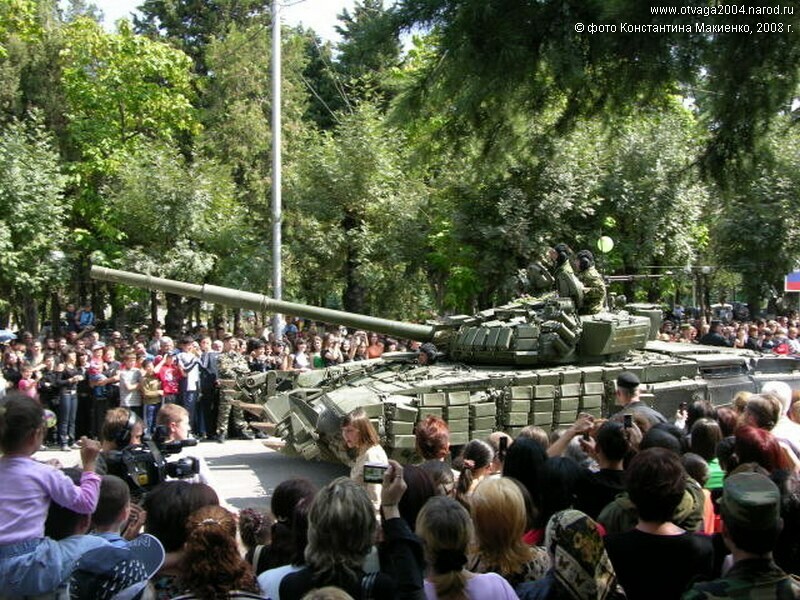 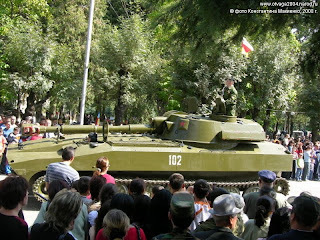 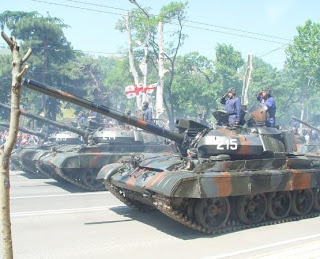 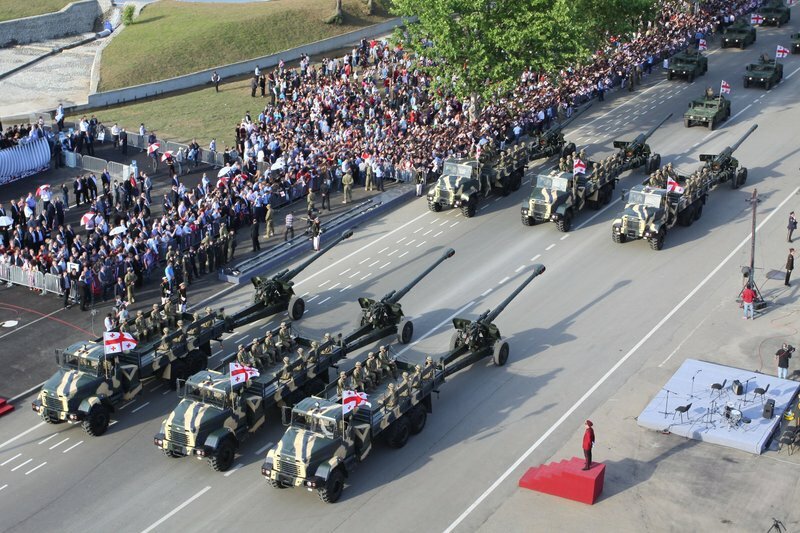 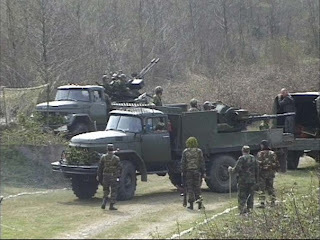 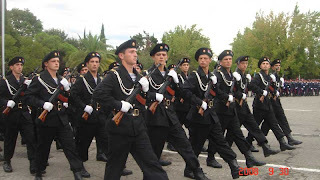 In 2008, Georgia launched a military operation in South Ossetia that set off a war with Russia. 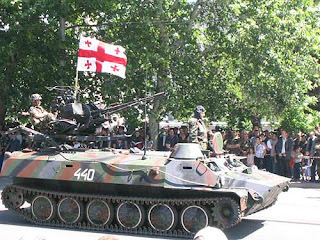 The Georgian military was quickly overrun, while the U.S. stood by idle. 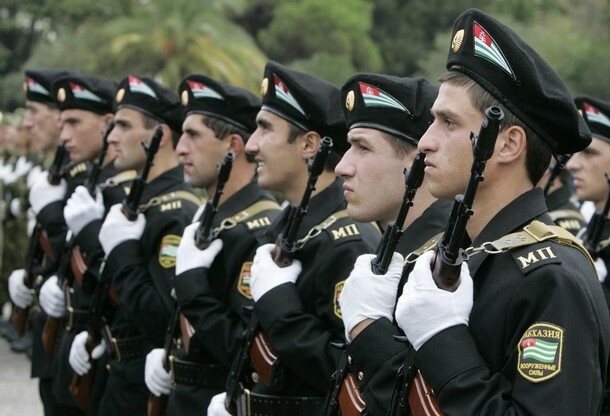 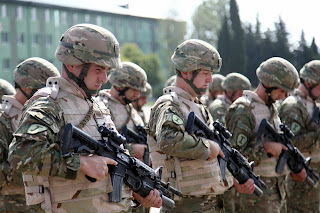 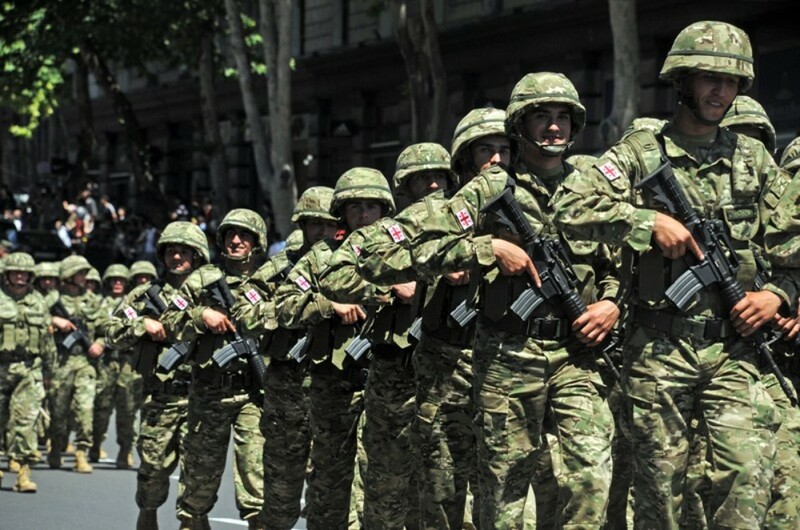 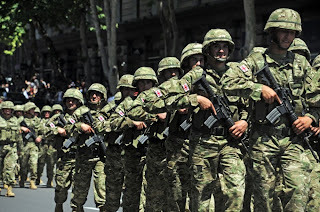 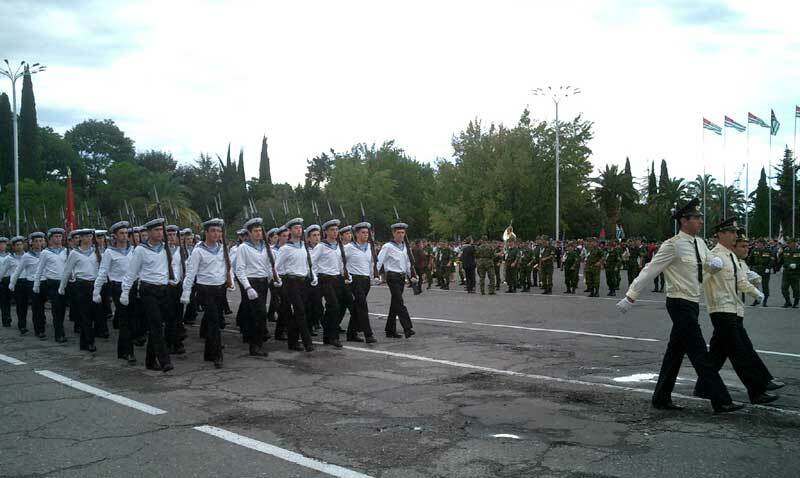 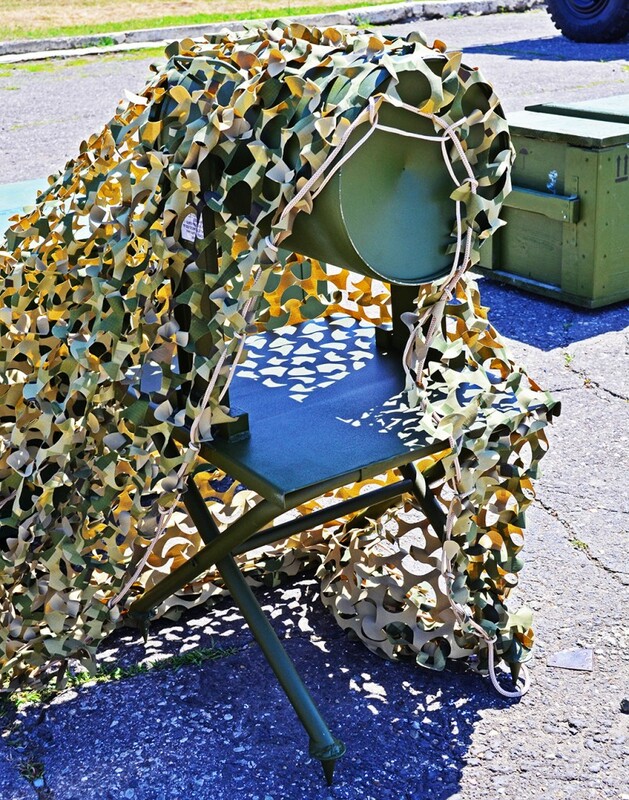 Some Georgian soldiers had to be recalled from fighting along side U.S. forces in Iraq. 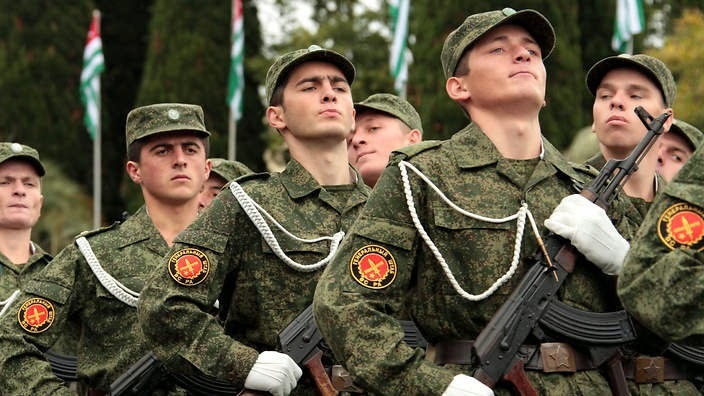 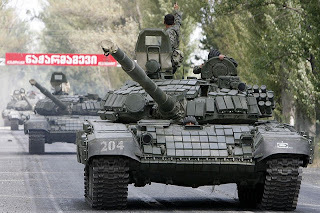 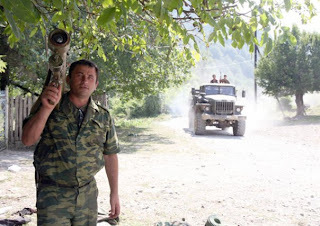 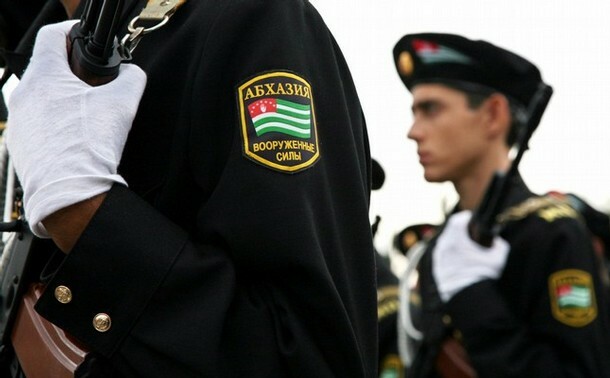 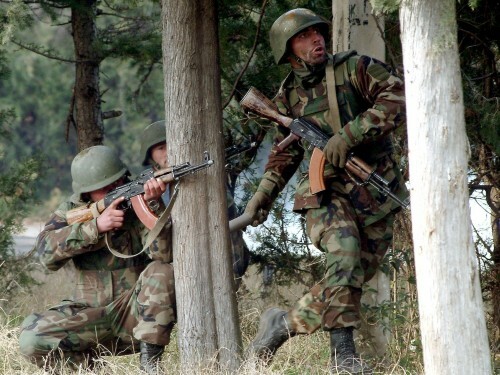 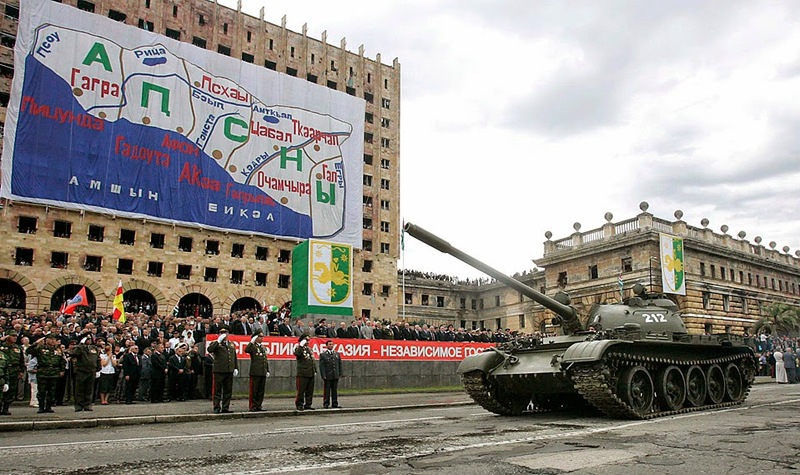 Russia expelled Georgian forces from the breakaway South Ossetia and Abkhazia regions. 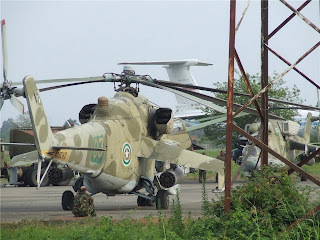 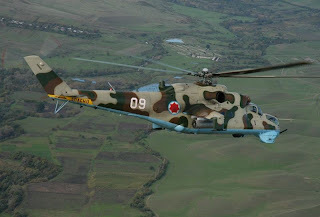 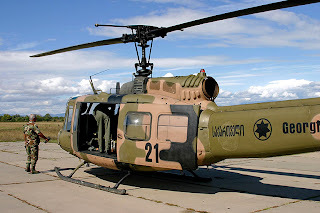 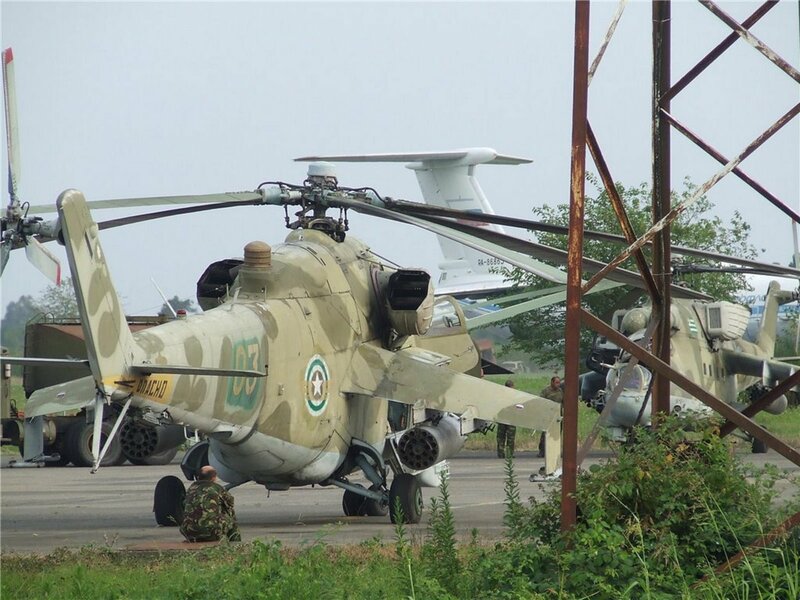 2 Georgian helicopters were destroyed. 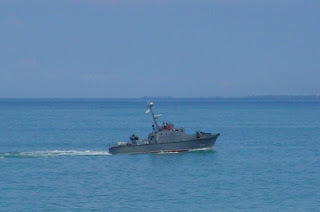 4 naval vessels were sunk. 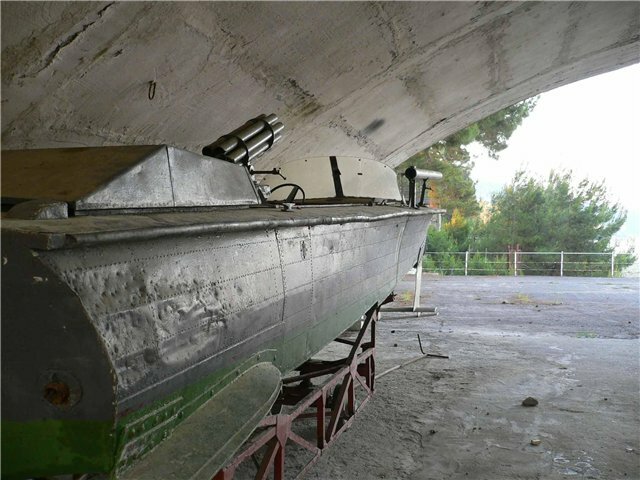 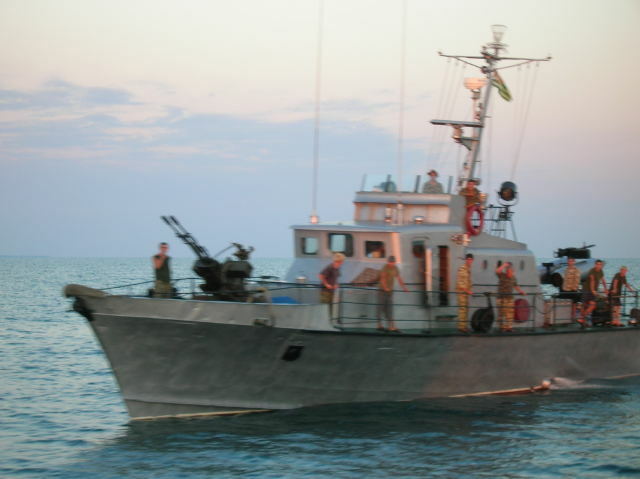 Russia captured nine rigid hull inflatable craft. 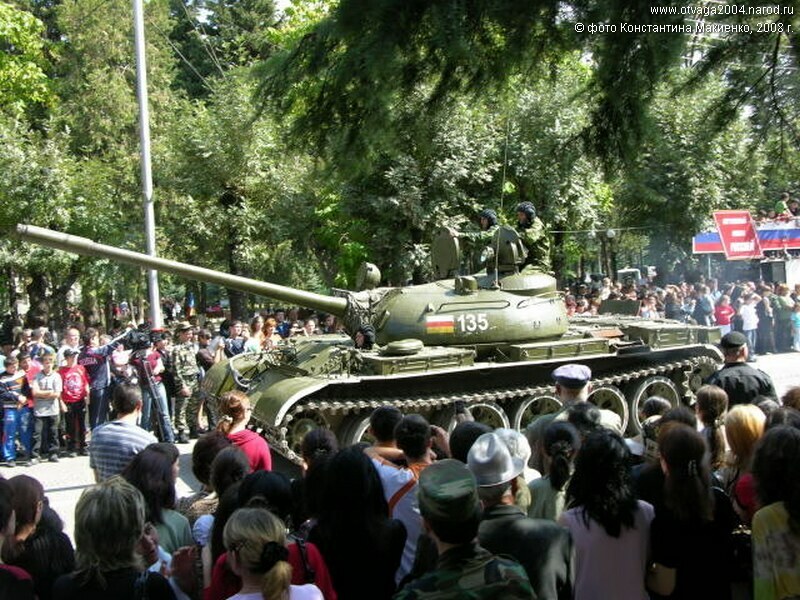 A strategic highway that goes east to west, passing through Gori, was captured by Russian forces in 2008, effectively cutting Georgia in half. 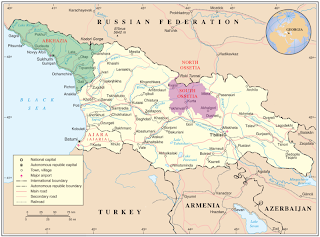 The strategic Roki Tunnel was quickly captured by Russian forces in the 2008 conflict and used to move more Russian soldiers in from the North Ossetia part of Russia into the South Ossetia portion of Georgia. 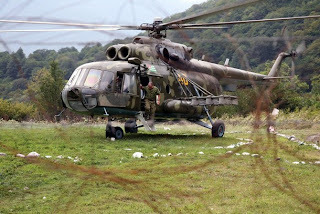 Airfields at Alekseevka and Marneuli near Tblisi. The Georgian Navy was abolished in 2009 and incorporated into the Georgian Coast Guard. 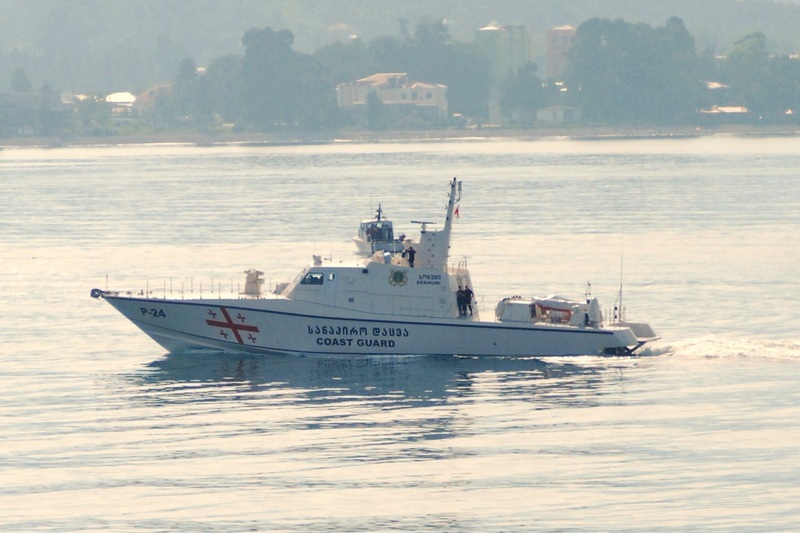 The Coast Guard of Georgia is a sub-unit of the Georgian Border Guard. 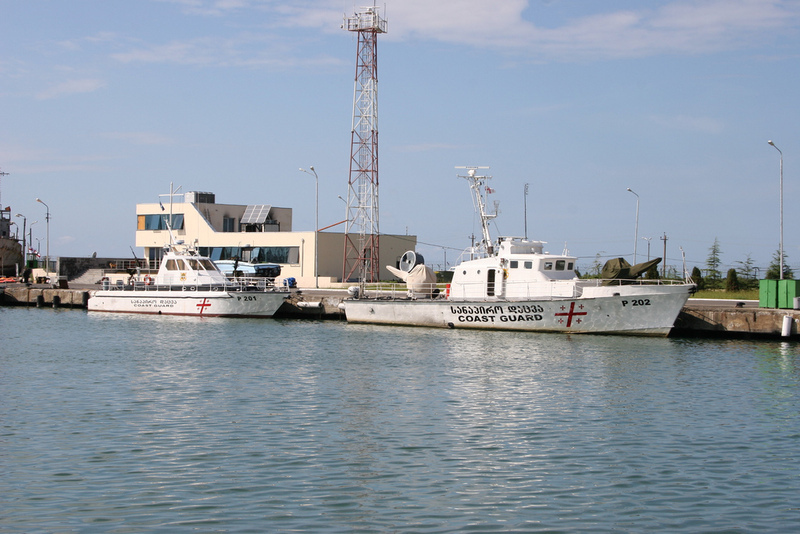 Main base at the Black Sea port city of Poti. Another Coast Guard base is located at Batumi. 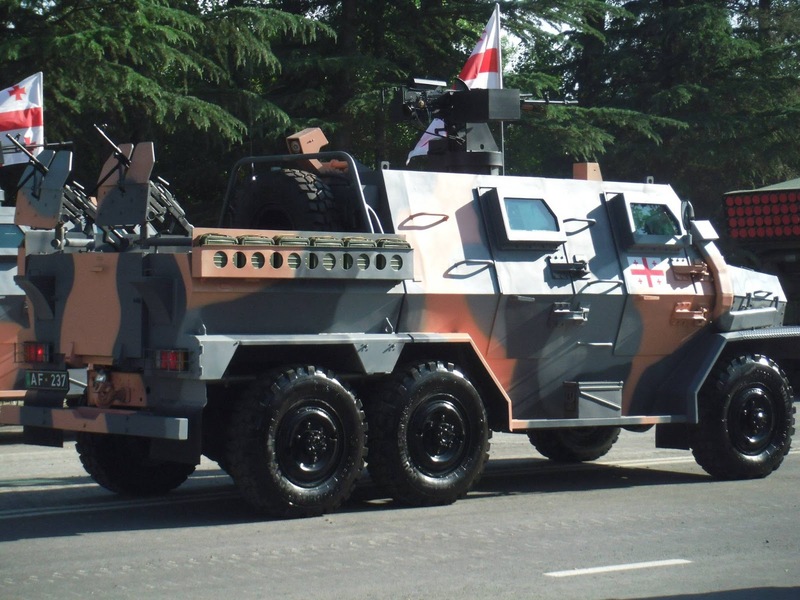 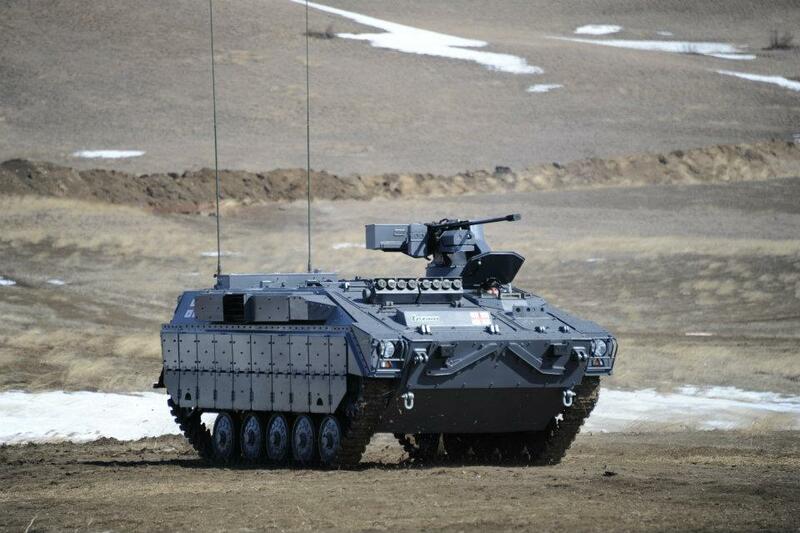 Wolf armored vehicles (50) israeli made. 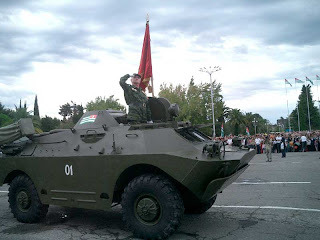 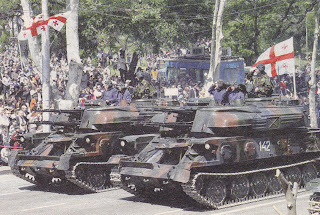 Didgori 1 armored personnel carriers. Georgian made. 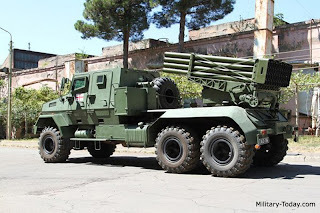 (25+) More on order. 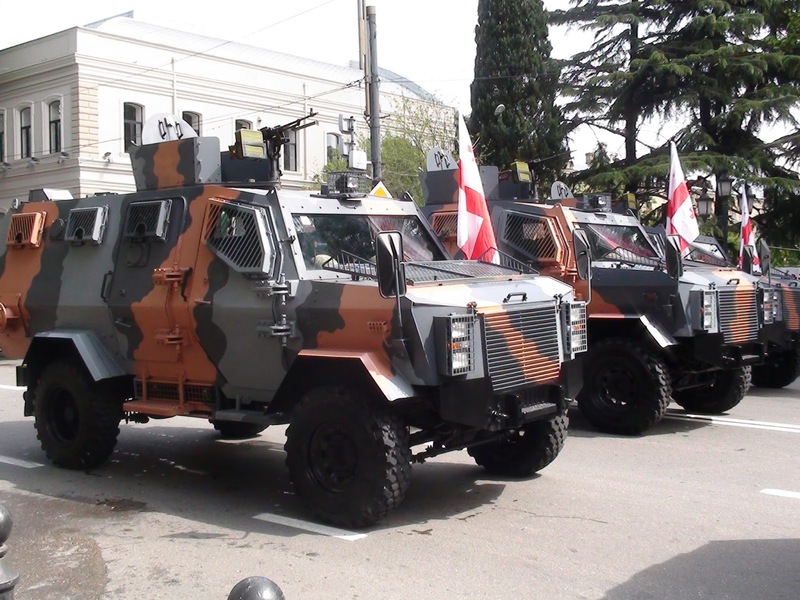 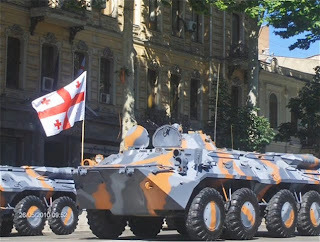 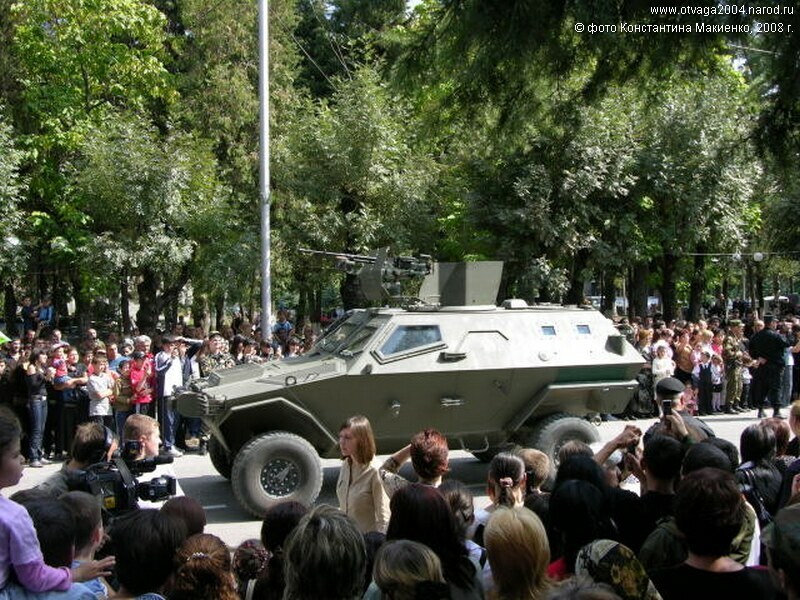 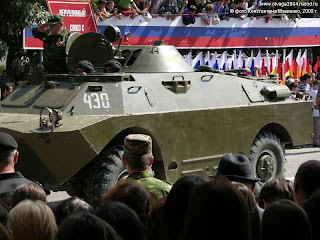 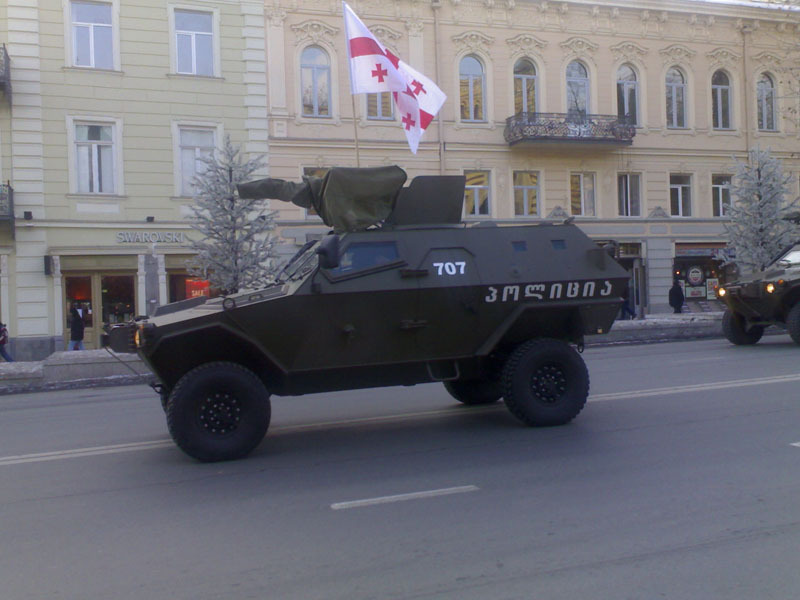 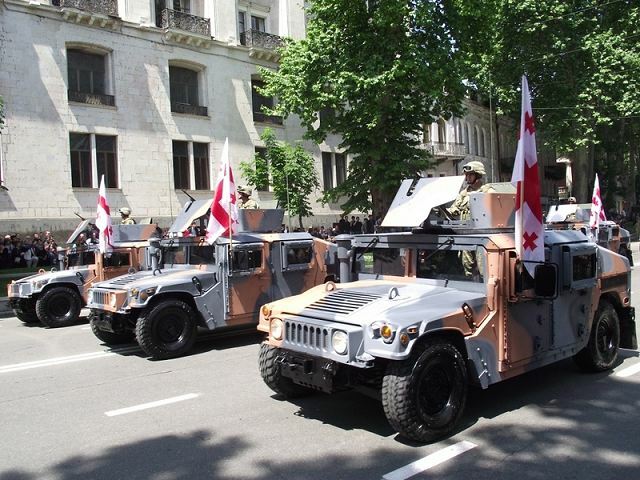 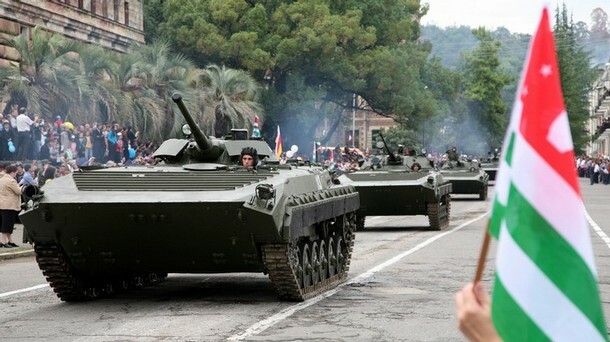 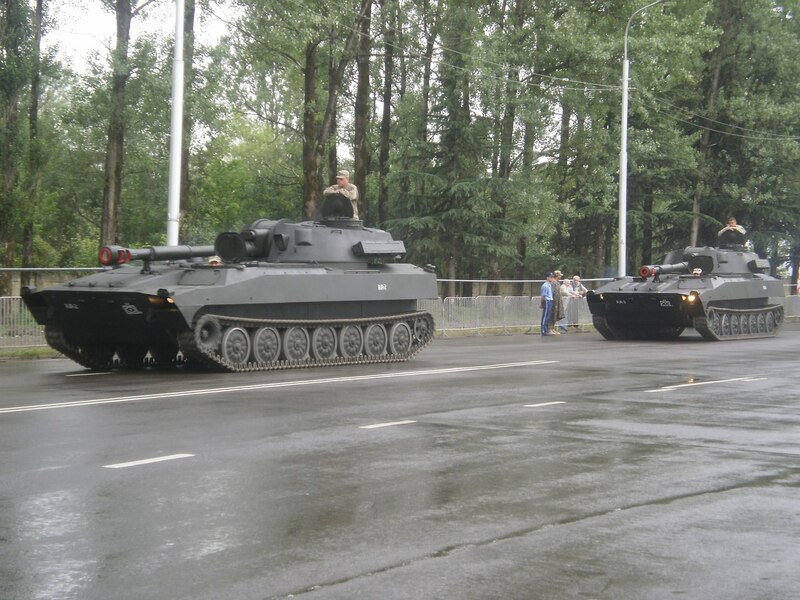 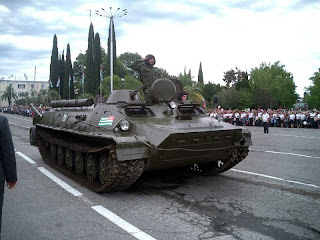 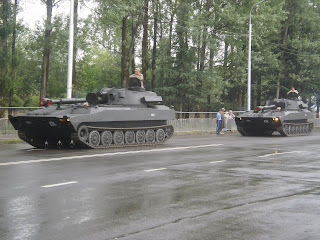 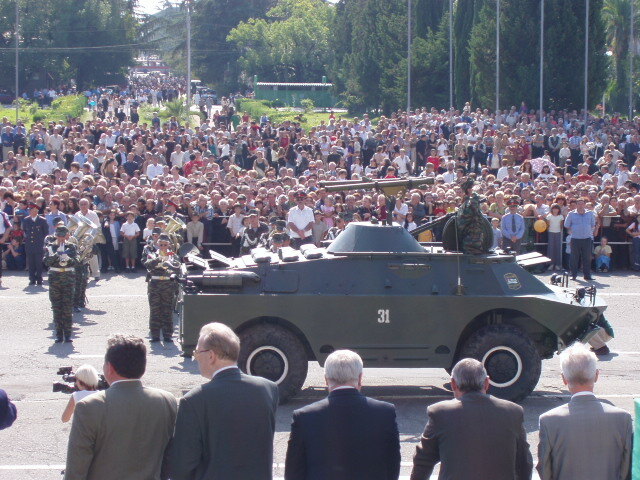 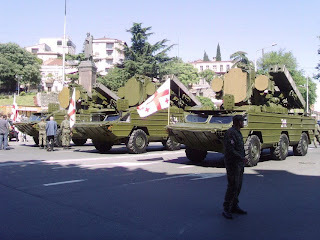 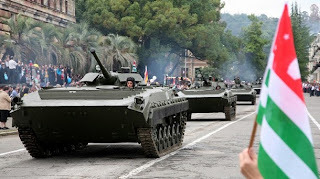 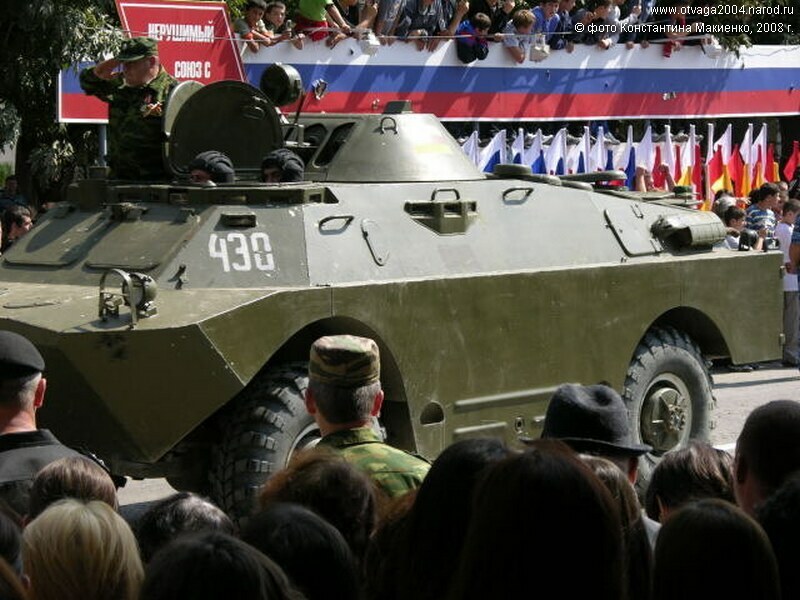 Didgori 2 armored personnel carriers. 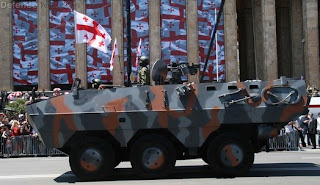 Georgian made. 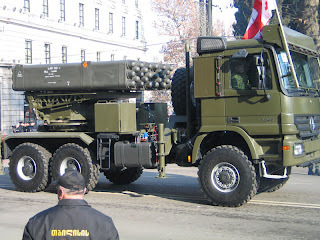 (25+) More on order. 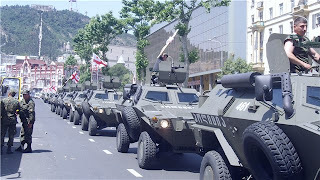 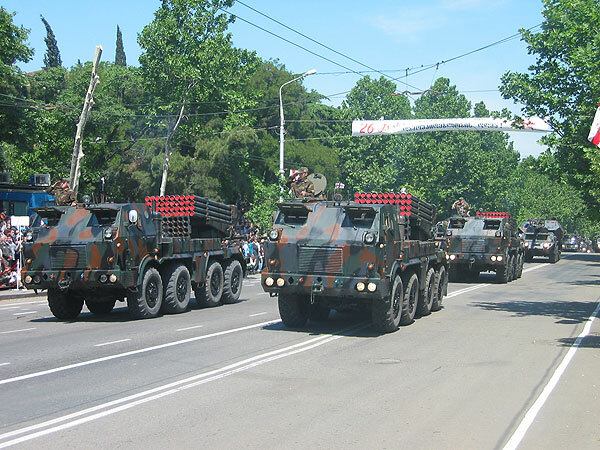 Didgori 3 armored personnel carriers. 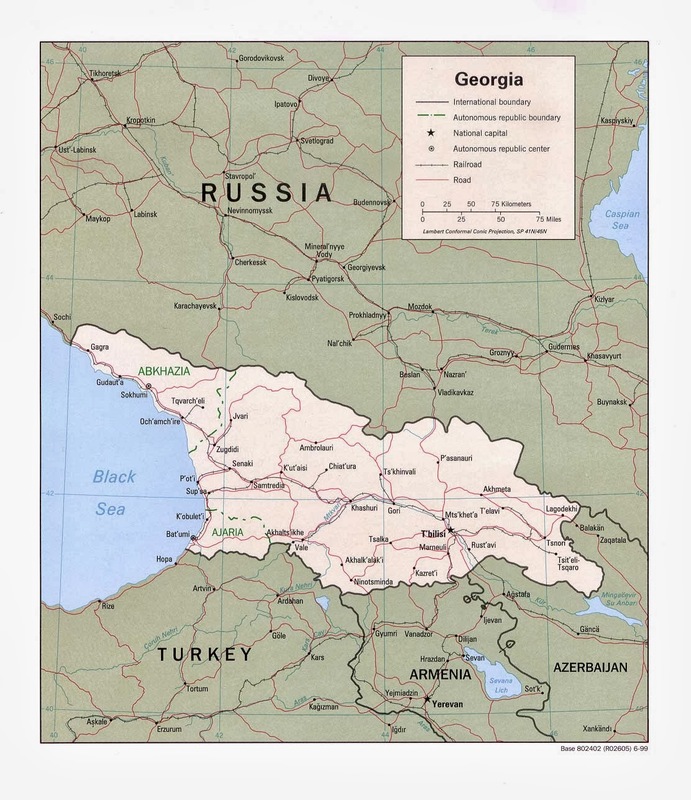 Georgian made. 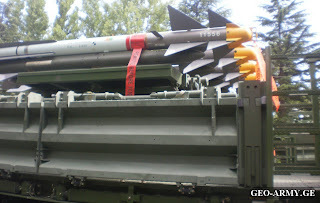 (5+) More on order. 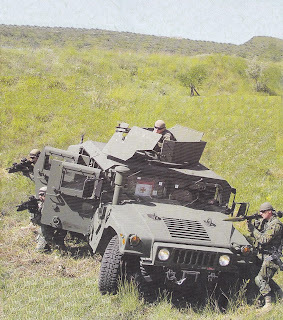 HMMWV utility vehicles (110) More on order. DELGA-1 fast attack vehicles. 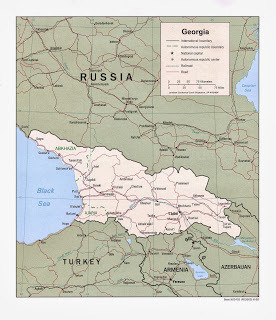 Georgian made. 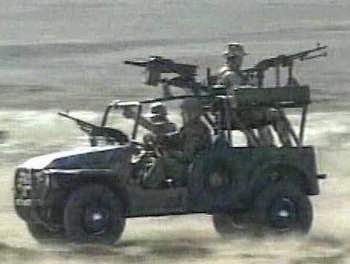 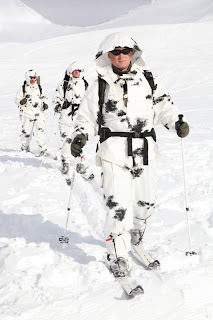 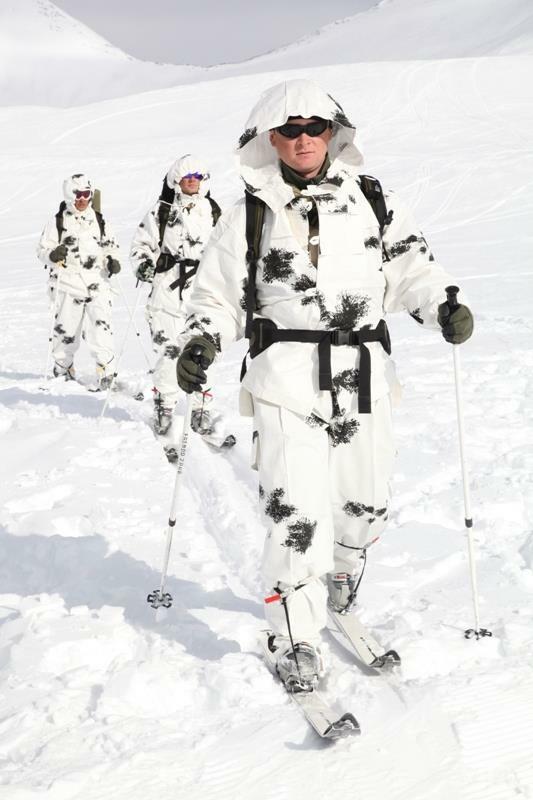 Used by Special Forces. 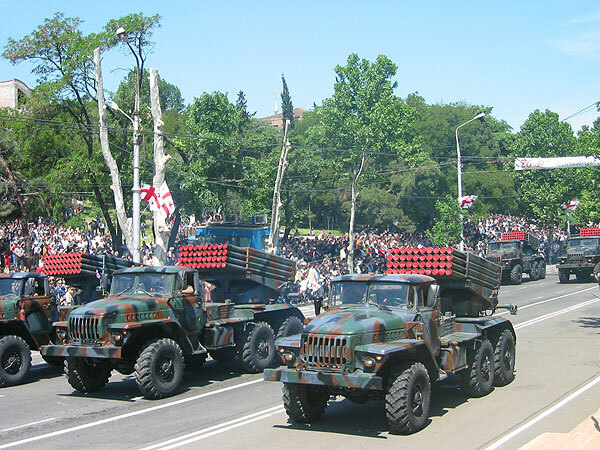 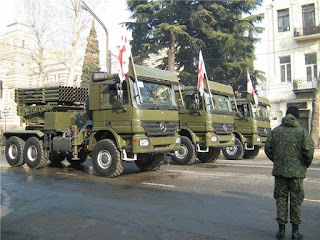 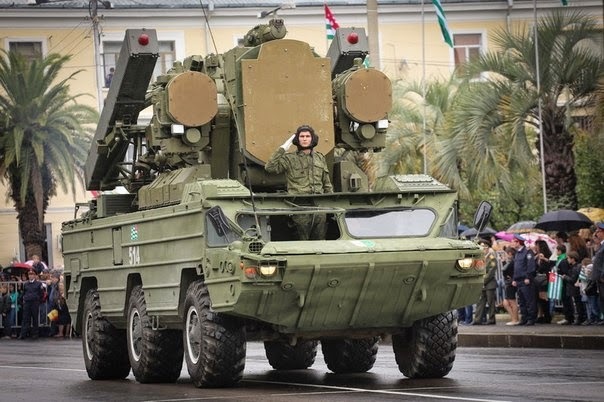 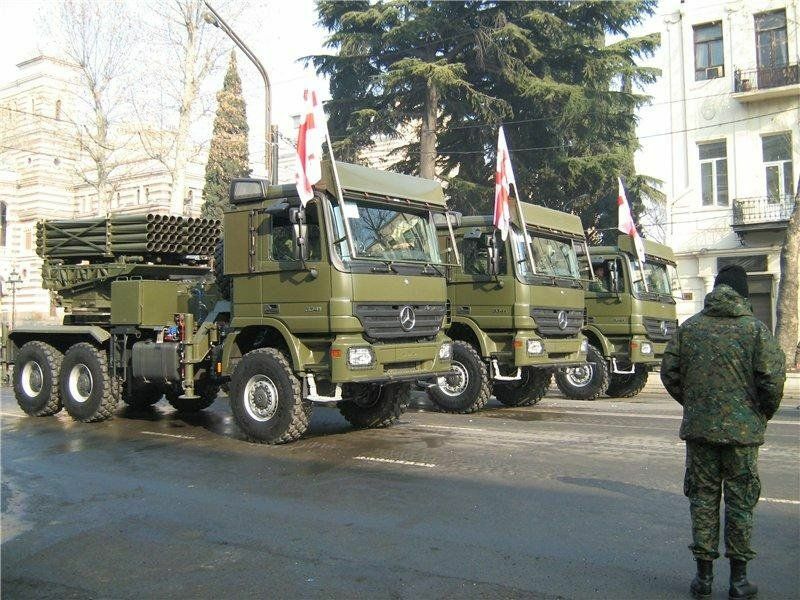 Lynx multiple rocket launcher system with LAR-160 rockets. 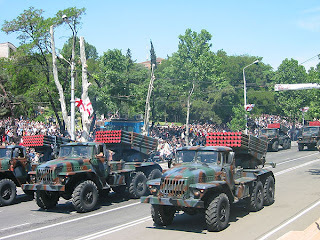 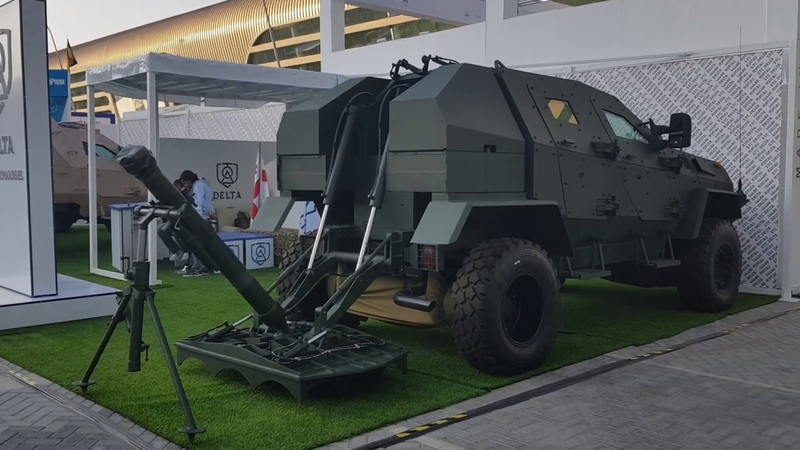 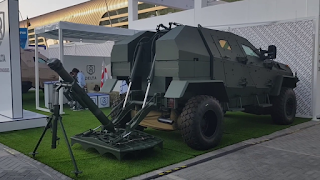 Lynx multiple rocket launcher system with 122mm rockets. 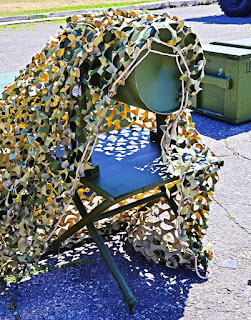 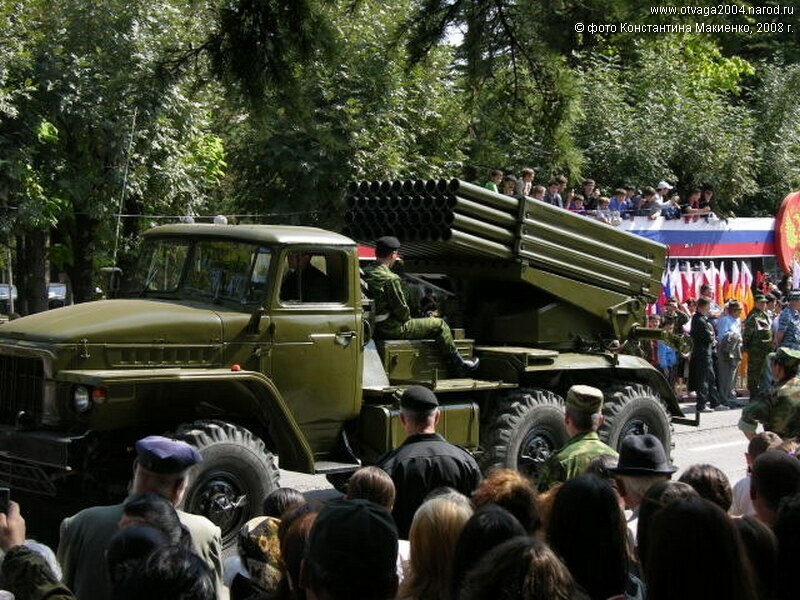 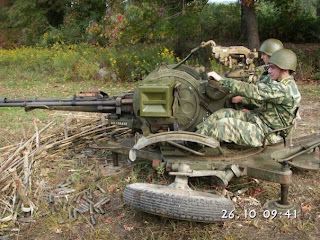 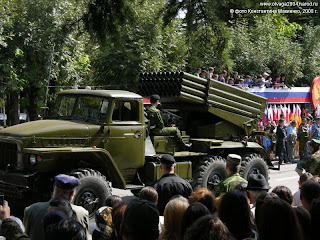 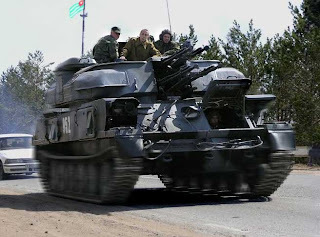 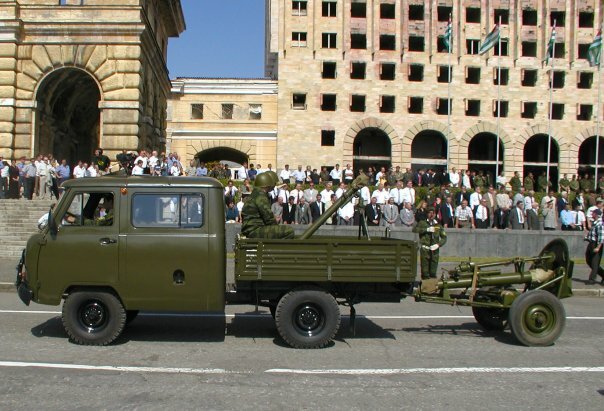 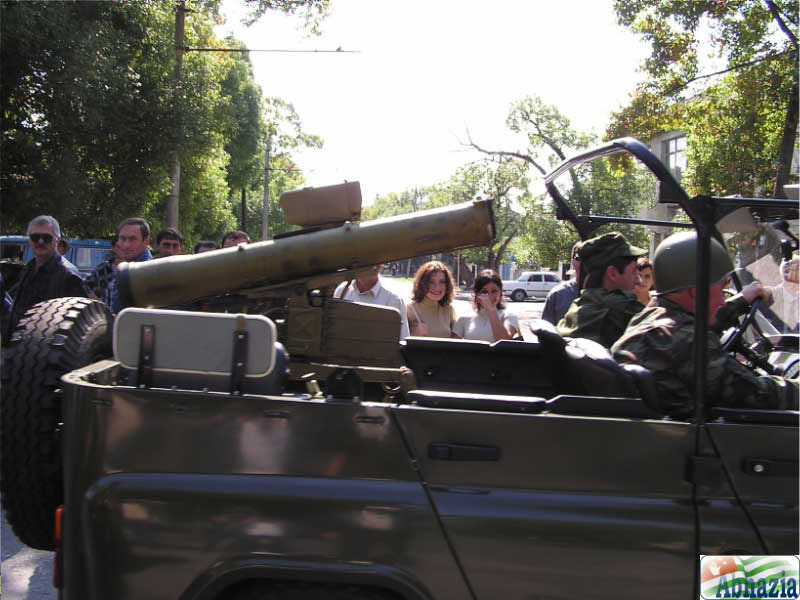 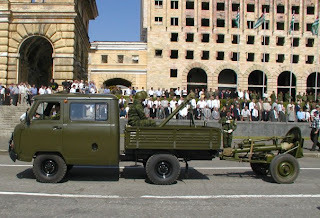 ZCRS-122- Georgian modified BM-21 rocket launcher with armored crew cabin. 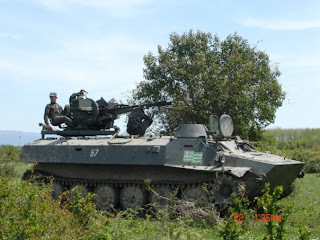 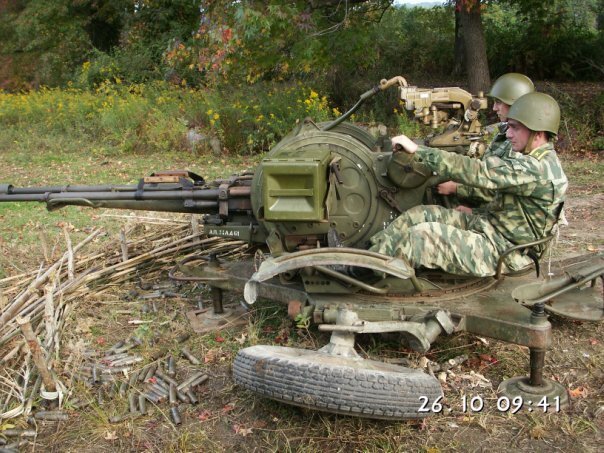 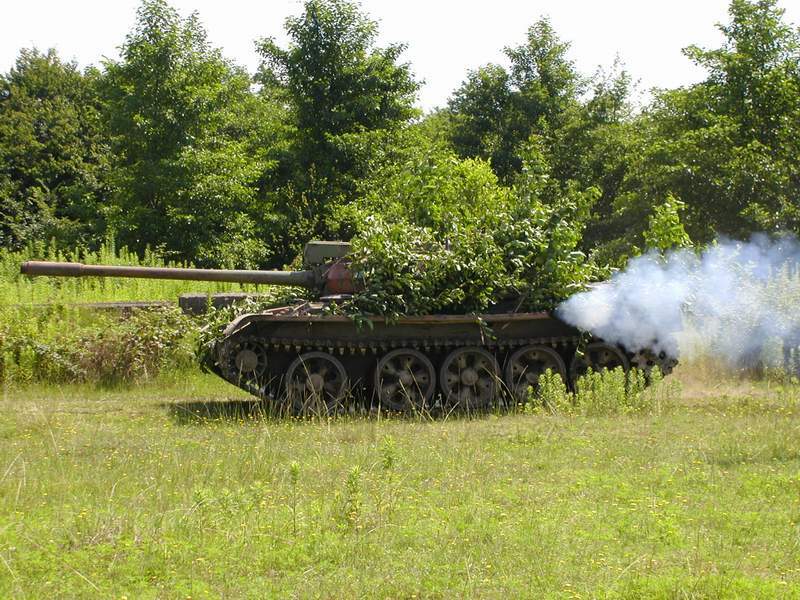 Mortar carrier consisting of a Didgori armored vehicle with a 120mm mortar. 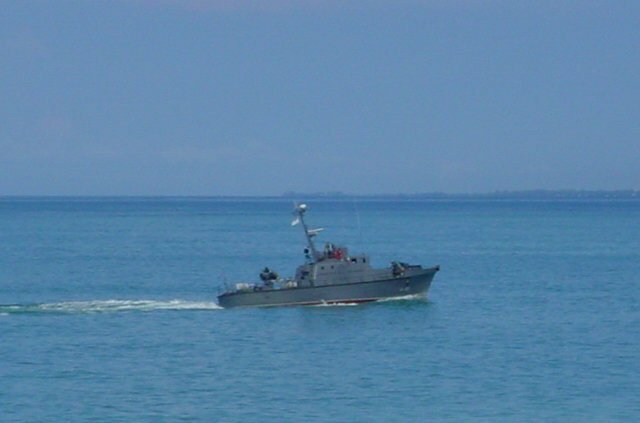 RD-7 Off Route mine. 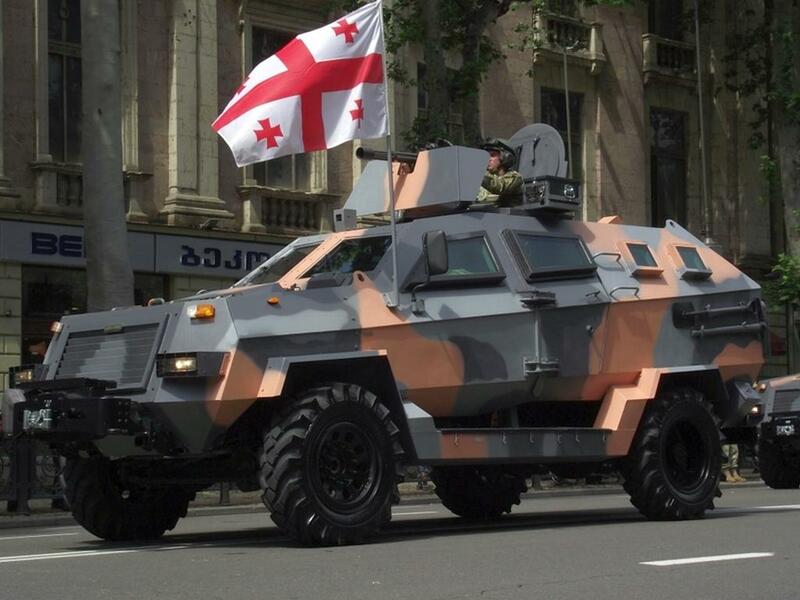 Made in Georgia. 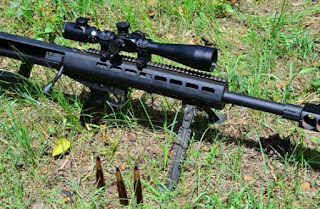 PDShP-2 12.7mm sniper/anti-material rifles. 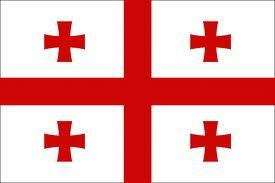 Made in Georgia. 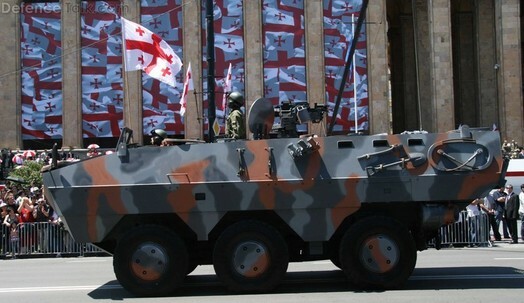 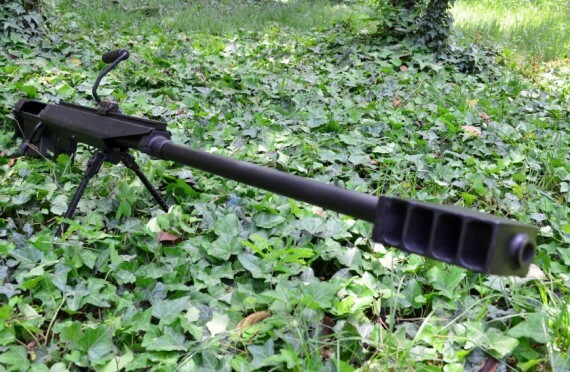 PDShP-1 12.7mm sniper/anti-material rifles Made in Georgia. 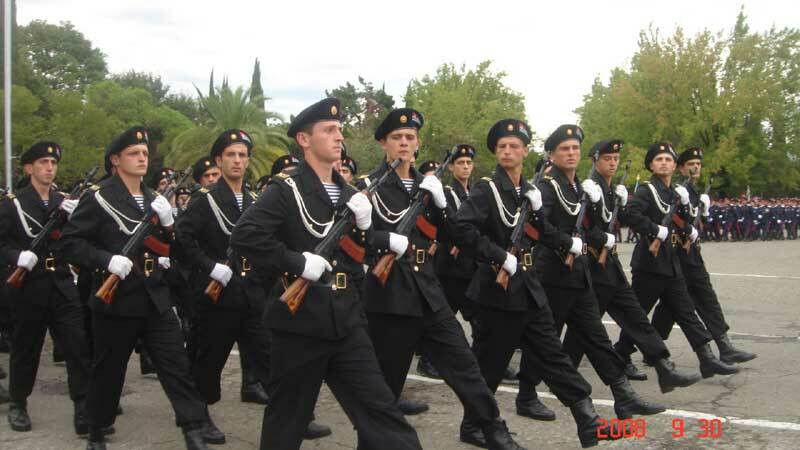 AK-74 assault rifles. 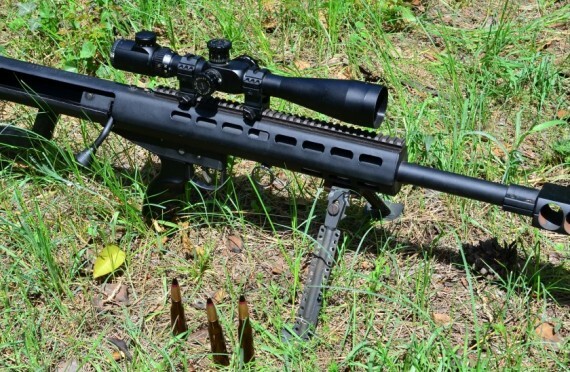 Standard issue. SPYDER self propelled surface-to-air missile system . Uses Python and Derby air-to-air missiles. 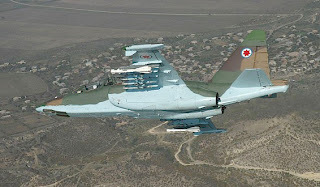 israeli made. 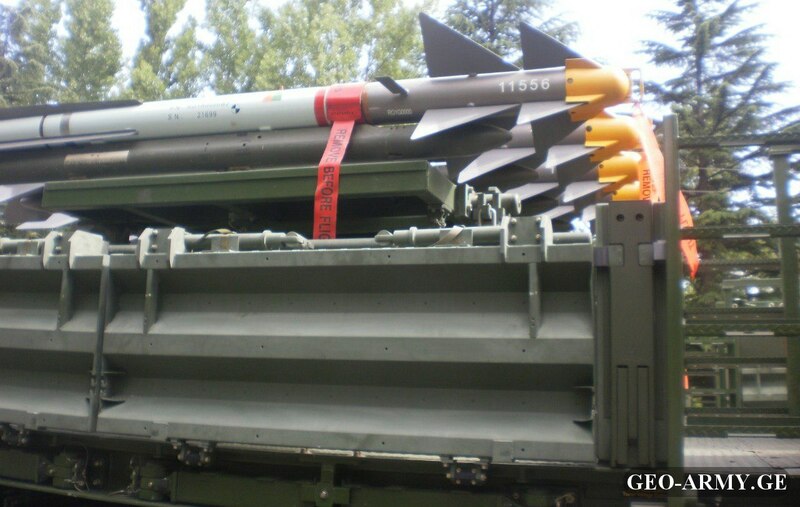 Grom shoulder fired surface-to-air missiles. Polish made. 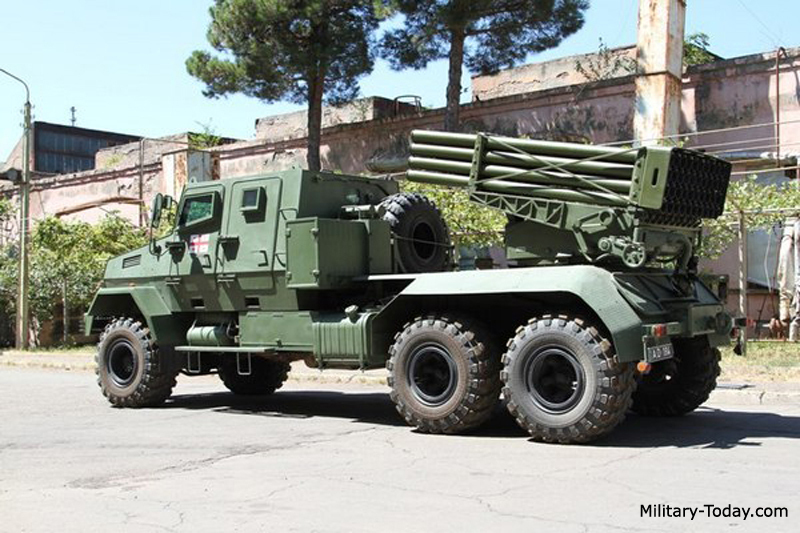 KSM-65 towed 100mm coastal guns? 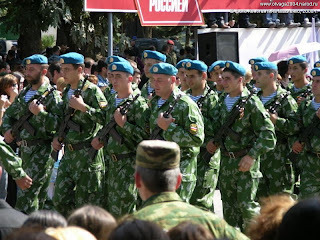 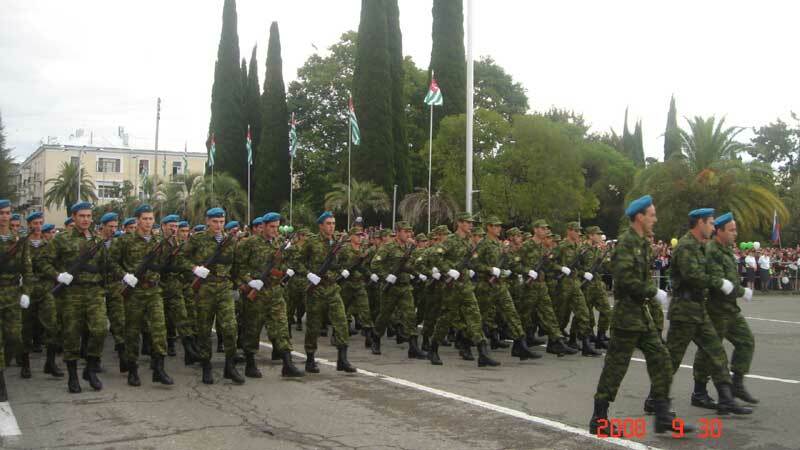 Special Forces with blue berets? Mostly captured Georgian weapons and equipment. 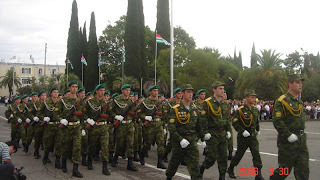 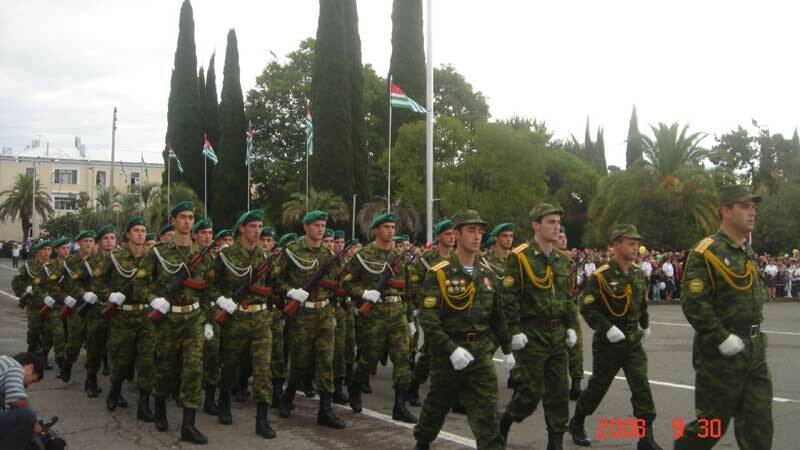 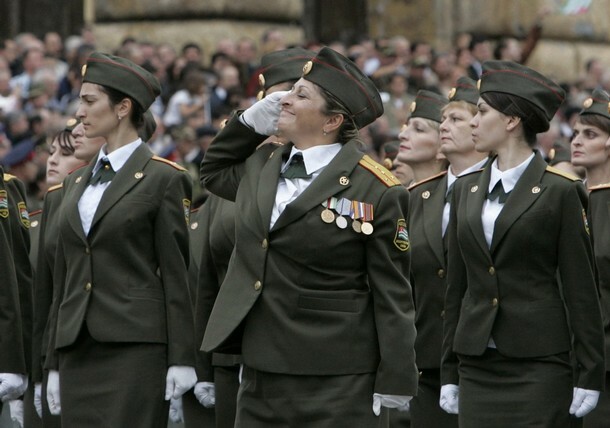 Border Guard with green berets?